A qualification serves to prove that equipment is fit for its given purpose. So far, so good. But what are the actual fundamental requirements for a successful equipment qualification and what are the core elements of qualification work? 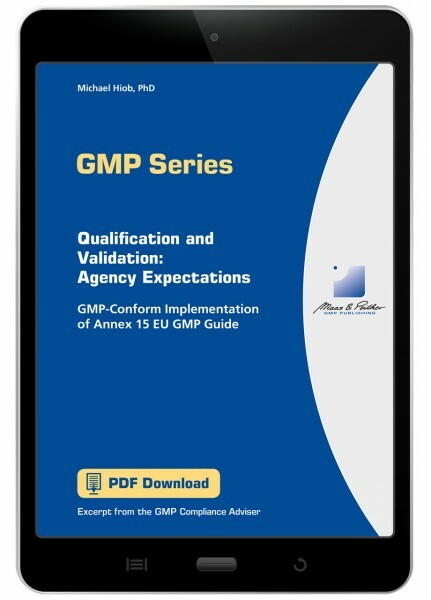 The ultimate prerequisites for GMP-conform pharmaceutical manufacturing are validated processes and qualified equipment! Qualification and validation should prove that the equipment, the procedures and processes used during the manufacture of medicinal products are suitable for their purpose. Previously defined acceptance criteria for the critical quality attributes and process parameters have to be met reproducibly. This sounds plausible. However, the practical implementation raises many questions. How do you correctly use risk management? By what means can the life cycle concept be realised? How do you organise planning, performance and documentation efficiently and in a GMP-conform manner? And most important of all, what are the expectations of the responsible authorities?